Our Town is a participatory, engaging workshop to help us understand gambling in our communities. 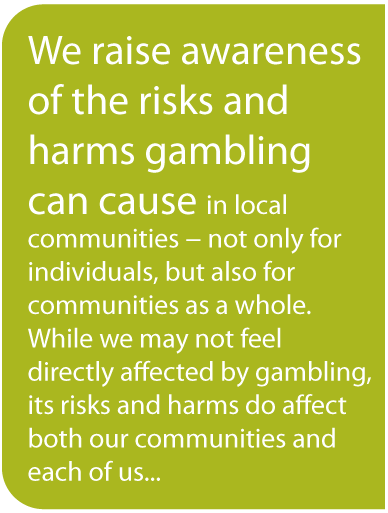 Participants explore the effects of gambling on their communities and their lives by taking on roles in the Our Town community as gambling is introduced. GRINS offers to run this workshop free of charge. If you or your group are interested in hosting an Our Town session in your area, please contact us.